Peggy Forms supports REST hooks to be able to connect with other web apps. 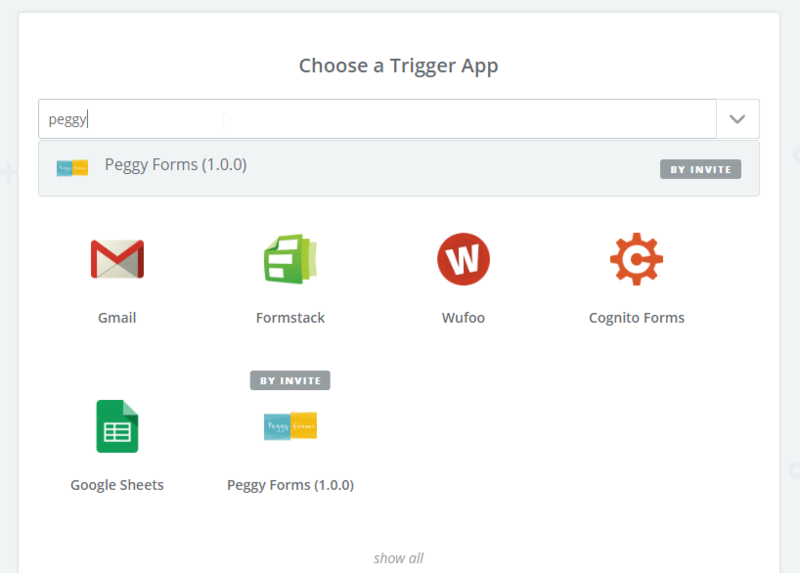 To explain the basics we going to connect Peggy Forms with Google Sheet using the great tool Zapier. 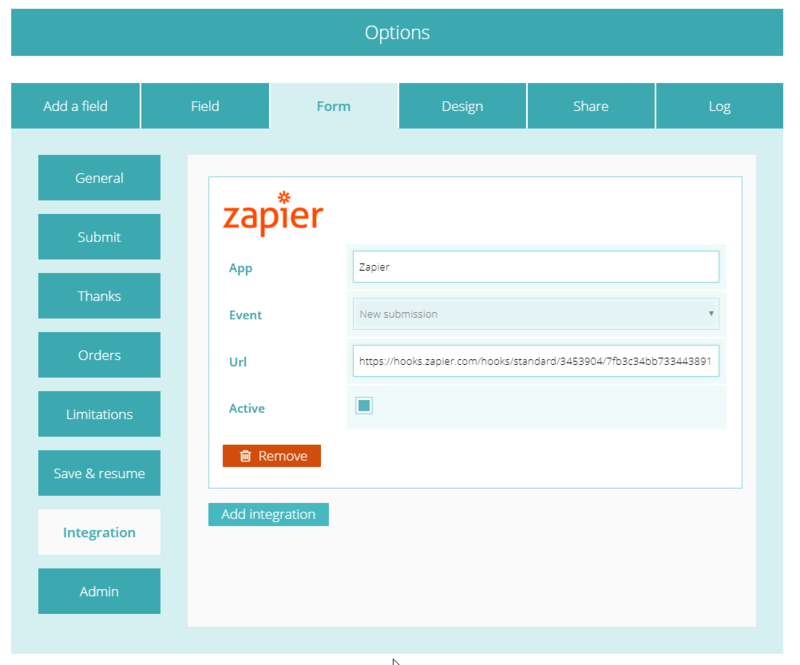 With Zapier you can connect thousands of web apps with each other. So in this example we connect Peggy Forms with Google Sheet. 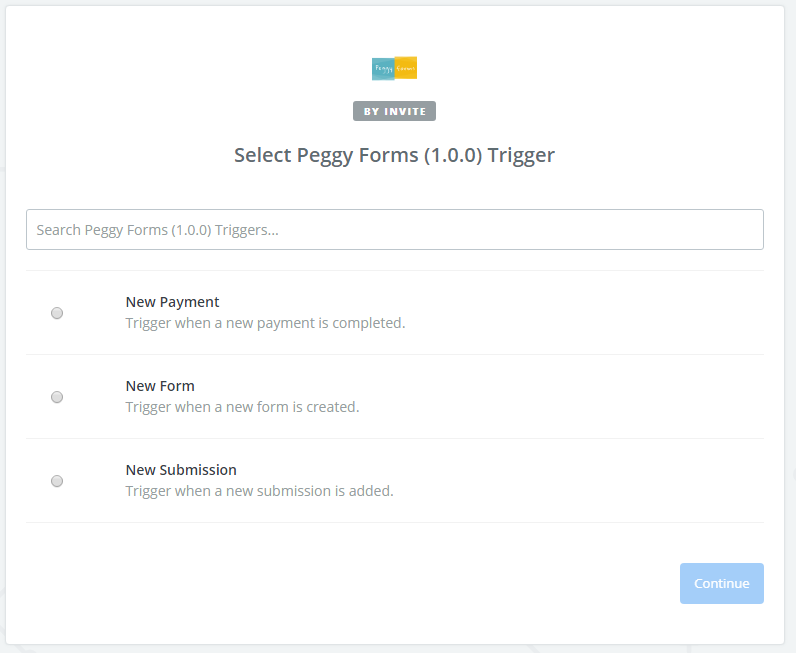 Next, choose one of the supported triggers, like new submission or new payment. 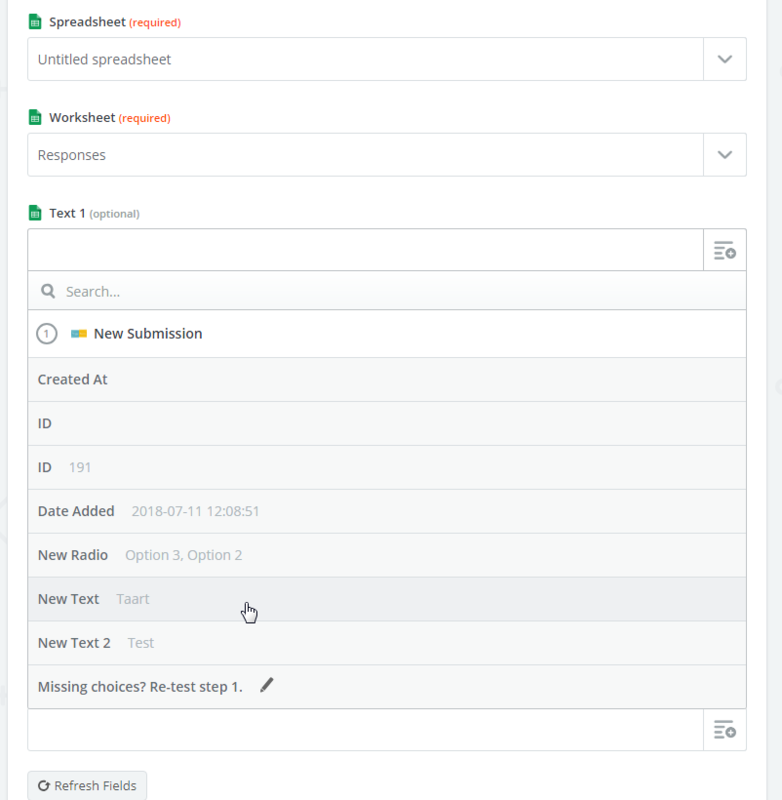 After you complete all tests and steps, your setup is complete and your Zapp is ready to use. If you fill out your form and submit, you should see the data in your Google sheet now!